This is a book for emerging leaders. Leaders are individuals who have the calling, character, and competency to influence others to accomplish God's purposes. The essence of leadership in the kingdom of God is influence, not (primarily) position or personal charisma. You don't have to be a full time worker in Christian ministry to be a leader. God is calling out people who are willing to serve him in faithfulness and obedience wherever they make there living or have an opportunity to impact others. 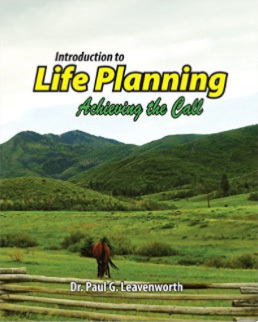 This book is targeted for those who are responding to the call of God to influence others for the kingdom. 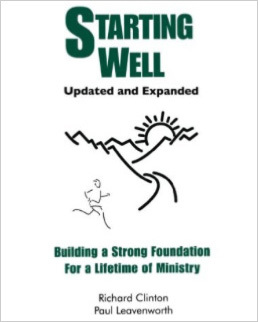 The Starting Well 2.0 (Discovery Learning Process) is a free downloadable word.doc designed as a companion to Starting Well: Building a Strong Foundation for a Lifetime of Ministry. Discovery learning is a process in which the Holy Spirit is the teacher, the textbook is the Bible, we are all students, and real life is the classroom. As we take responsibility for our own growth and development through the gracious work of the Holy Spirit and the Word in healthy learning communities we experience transformation and empowering for abundant life and leadership. Starting Well 2.0 gives you the opportunity to respond to the Evaluation and Application questions at the end of each chapter in Starting Well and also provides discussion questions for small group application. You can update your files and use them for discovery, evaluation, and planning as you gain greater insights into your purpose, role, methodologies, and ultimate contributions for starting well and begin to integrate these insights into your life and leadership. 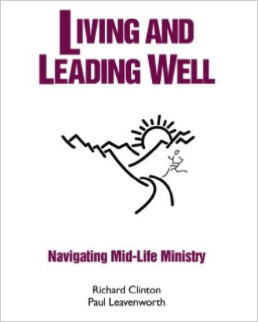 Living and Leading Well is the second book in the Well Trilogy that also includes Starting Well, for younger emerging leaders, and Finishing Well, for older experienced leaders. Living and Leading Well is designed to help you build a strong foundation which can stand the weight and pressures of mid-life while helping prepare you to finish well and establish a lasting legacy. Our vision in writing Living and Leading Well is to provide Biblically based insights, strategies, and resources to help mid-life "ministers" (whether they minister in the context of the church, marketplace, or other social settings) navigate the challenges that come with getting older, raising kids, and adjusting goals to the realities of mid-life. 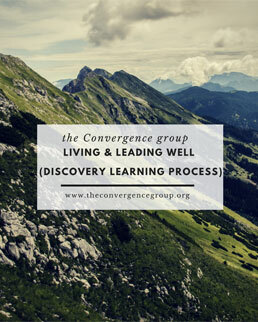 The Living and Leading Well 2.0 (Discovery Learning Process) is a free downloadable word.doc designed as a companion to Living and Leading Well: Navigating Mid-Life Ministry. Discovery learning is a process in which the Holy Spirit is the teacher, the textbook is the Bible, we are all students, and real life is the classroom. As we take responsibility for our own growth and development through the gracious work of the Holy Spirit and the Word in healthy learning communities we experience transformation and empowering for abundant life and leadership. Living and Leading Well 2.0 gives you the opportunity to respond to the Evaluation and Application questions at the end of each chapter in Living and Leading Well and also provides discussion questions for small group application. You can update your files and use them for discovery, evaluation, and planning as you gain greater insights into your purpose, role, methodologies, and ultimate contributions for staying (or getting) well and begin to integrate these insights into your life and leadership as you position yourself for finishing well. 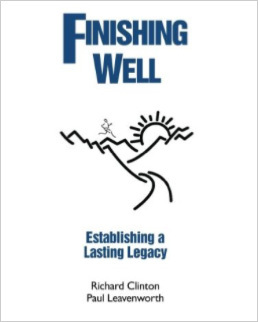 Finishing Well is the third and final book in our Well Trilogy, which focuses on establishing our legacy in later years. 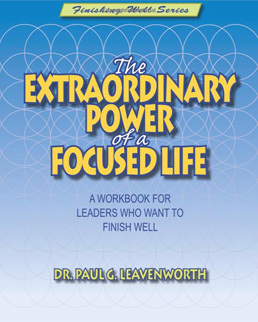 Finishing Well gives the reader an opportunity to assess ultimate contributions while navigating necessary transitions in life and leadership in order to establish a lasting legacy. 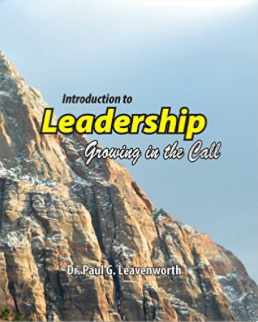 This book is designed to integrate Biblical leadership principals, lessons, and examples with real life experiences to help the reader better understand the dynamics and challenges of growing older and navigating the end game in such a way that they do not hinder God's ultimate purposes for their lives. The Finishing Well 2.0 (Discovery Learning Process) is a free downloadable word.doc designed as a companion to Finishing Well: Establishing a Lasting Legacy. Discovery learning is a process in which the Holy Spirit is the teacher, the textbook is the Bible, we are all students, and real life is the classroom. As we take responsibility for our own growth and development through the gracious work of the Holy Spirit and the Word in healthy learning communities we experience transformation and empowering for abundant life and leadership. 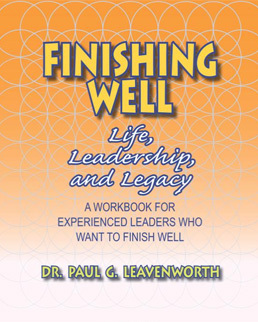 Finishing Well 2.0 gives you the opportunity to respond to the Application and Discussion questions integrated from from each chapter in Finishing Well provide personal and small group application. You can update your files and use them for discovery, evaluation, and planning as you gain greater insights into your purpose, role, methodologies, and ultimate contributions for finishing well and begin to integrate these insights into your life and leadership as you position yourself for finishing well. This workbook is the first of a series of three workbooks designed for Christians seeking to go deeper and high school students who want to learn more about what the Bible has to say about discipleship, Christian leadership, and living a meaningful and impacting life. This workbook is the second of a series of three workbooks designed for Christians seeking to go deeper and high school students who want to learn more about what the Bible has to say about discipleship, Christian leadership, and living a meaningful and impacting life. 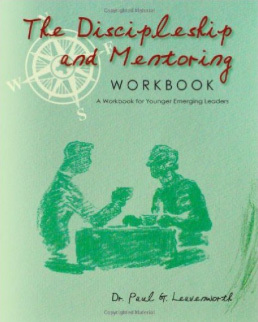 The Discipleship and Mentoring Workbook was written to help younger emerging leaders to gain a Biblical understanding of discipleship and mentoring. The workbook is designed to provide introductory information, discovery and discussion questions, explanations of specific topics, and application exercises for use in mentoring relationships, small groups, and college level courses. The Bible-Centered Leader Workbook was written to help younger emerging leaders to establish a Biblical foundation for life and leadership. A Bible-centered knows the content of the Bible and is transformed by obeying its principles. This is accomplished by establishing a regular devotional life, reading through the Bible regularly, studying key books and passages, and studying specific topics and Bible biographies. Over time, the Bible-centered leader begins to think, behave, and lead from a Biblical orientation. This workbook is designed to provide introductory information, discovery and discussion questions, explanations, and application opportunities for becoming a Bible-centered leader. 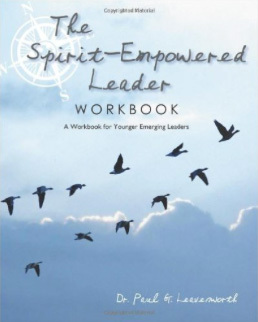 The Spirit-Empowered Leader Workbook has been designed to help younger emerging leaders understand the nature, role, and empowering dynamics of the Holy Spirit for life transformation and leadership effectiveness. The dynamic of the Spirit in spiritual formation (Character), leadership formation (Competencies), and strategic formation (Calling) are examined in various chapters through introduction, discovery, explanation, and application sections giving the reader opportunities to gain understanding, insight, and specific steps for application. 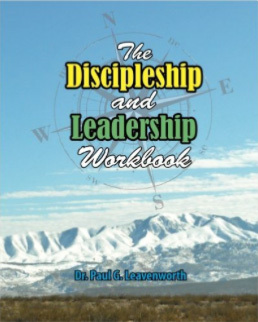 The Discipleship and Leadership Workbook is designed as a stand-alone or companion to other workbooks in the Leadership Development Series. The Leadership Development Series is based on Jesus' teaching that, "true worshipers will worship the Father in spirit and truth..." (John 4:23, NIV). True worshipers are disciples who make other disciples [The Discipleship and Mentoring Workbook] by worshipping in spirit [The Spirit-Empowered Leader Workbook] and truth [The Bible-Centered Leader Workbook]. 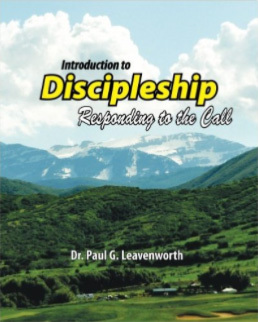 The Discipleship and Leadership Workbook serves as an introduction to discipleship and leadership. The other workbooks in the Leadership Development Series will allow you to explore in more depth themes covered in this workbook. Way too many leaders are not finishing well! The research of J. Robert Clinton and his students at Fuller Theological Seminary in Pasadena, CA discovered that only about one out of four Christian leaders finish well. This is a tragic situation that must be addressed. The Apostle Paul, near the end of his life, said, "I have fought the good fight, I have finished the race. I have kept the faith. Now there is in store for me the crown of righteousness..." (II Timothy 4: 7-8a, NIV). This passage suggests that finishing well is possible! The purpose of this workbook is to help appropriate this reality - we can finish well, we must finish well! 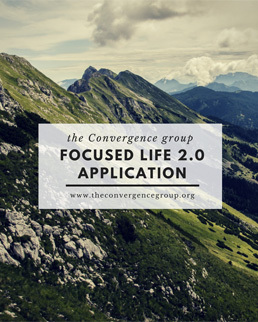 The Focused Life App 2.0 is a free downloadable word.doc designed as a companion to The Extraordinary Power of a Focused Life Workbook and The Focused Life Workshop DVD Series (tCg Store). The Focused Life App 2.0 gives you the opportunity to develop a personal file of your spiritual autobiography, life and leadership lessons, core values, purpose and mission statements, ultimate contributions, and yearly goals. These areas are covered in the Perspective, Destiny, Strategy, and Legacy chapters (5-9, 11) of the workbook. You can update your files and use them for discovery, evaluation, and planning as you gain greater insights into your focal points (purpose, role, methodologies, ultimate contributions) for finishing well and begin to integrate these insights into your life and leadership. 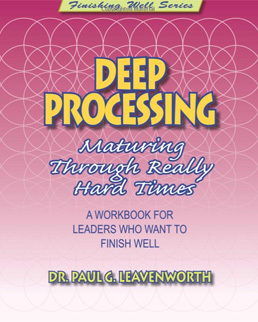 Deep Processing was written to help mid-life leaders mature through the really hard times in life and leadership. 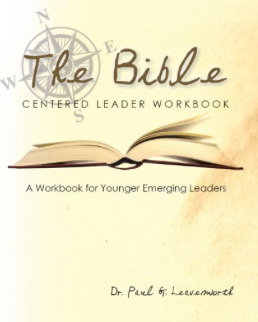 The workbook uses the life story of Job in the Bible as the backdrop for understanding and application for maturing through seven major situations: life transitions, life and leadership crises, life and leadership conflict, leadership backlash, isolation, spiritual warfare, and brokenness. Each chapter is designed to provide introductory information, discovery and discussion questions, explanation, and application. Deep Processing is a stand alone or companion workbook for mid-life leaders that also includes The Extraordinary Power of a Focused Life. 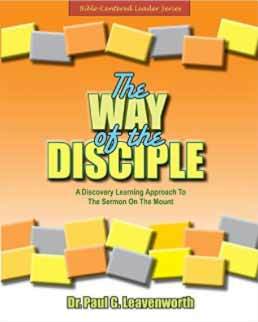 The Way of the Disciple is designed to help followers of Christ establish a Biblical foundation for life and leadership. This workbook is an inductive Bible study of the Sermon on the Mount and is intended to facilitate "discovery learning" for a foundation in "spirit and truth" that will stand the test of time and help you to establish a Bible-centered lifestyle for honoring God and finishing well. 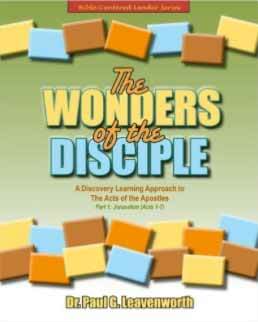 The Wonders of the Disciple, Part 1: Jerusalem is designed to help followers of Christ establish a Biblical foundation for life and leadership. This workbook is an inductive Bible study of The Acts of the Apostles (Chapters 1-7) and is intended to facilitate "discovery learning" for a foundation in "spirit and truth" (John 4:24) that will stand the test of time and help you establish a Bible-centered lifestyle for honoring God and finishing well. 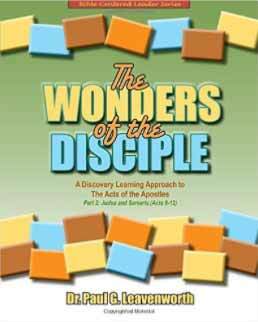 The Wonders of the Disciple, Part 2: Judea and Samaria is designed to help followers of Christ establish a Biblical foundation for life and leadership. This workbook is an inductive Bible study of The Acts of the Apostles (Chapters 9-12) and is intended to facilitate "discovery learning" for a foundation in "spirit and truth" (John 4:24) that will stand the test of time and help you establish a Bible-centered lifestyle for honoring God and finishing well. 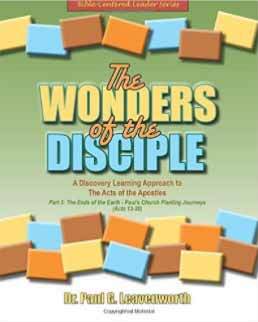 The Wonders of the Disciple, Part 3: The Ends of the Earth - Paul's Church Planting Journeys is designed to help followers of Christ establish a Biblical foundation for life and leadership. This workbook is an inductive Bible study of The Acts of the Apostles (Chapters 13-20) and is intended to facilitate "discovery learning" for a foundation in "spirit and truth" (John 4:24) that will stand the test of time and help you establish a Bible-centered lifestyle for honoring God and finishing well. 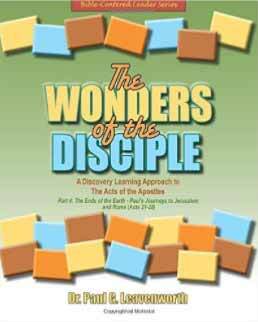 The Wonders of the Disciple, Part 4: The Ends of the Earth - Paul's Journey to Jerusalem and Rome is designed to help followers of Christ establish a Biblical foundation for life and leadership. This workbook is an inductive Bible study of The Acts of the Apostles (Chapters 21-28) and is intended to facilitate "discovery learning" for a foundation in "spirit and truth" (John 4:24) that will stand the test of time and help you establish a Bible-centered lifestyle for honoring God and finishing well. 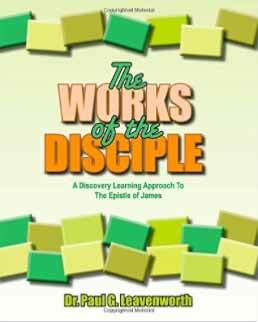 The Works of the Disciple is designed to help followers of Christ establish a Biblical foundation for life and leadership. This workbook is an inductive Bible study of the Epistle of James and is intended to facilitate "discovery learning" for a foundation in "spirit and truth" that will stand the test of time and help you establish a Bible-centered lifestyle for honoring God and finishing well. 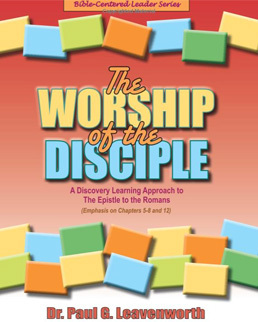 The Worship of the Disciple is designed to help followers of Christ establish a biblical foundation for life and leadership. The focus of this workbook is on the practical teaching of Paul in Romans about a lifestyle of spiritual worship (Romans 12:1, NIV). This workbook is an inductive Bible study of the Epistle to the Romans (with an emphasis on Chapters 5-8 and 12) and is intended to facilitate personal "transformation" by establishing a foundation in "spirit and truth" (John 4:24). 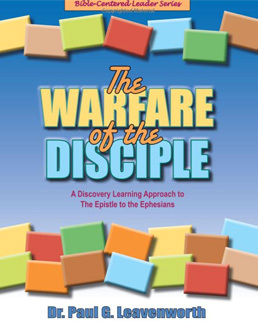 The Warfare of the Disciple is designed to help followers of Christ (Disciples) to establish a biblical foundation for life and leadership by doing an inductive Bible study of the Epistle to the Ephesians. The focus of this workbook is on the theological and practical teaching of Paul in Ephesians about living like Christ in a fallen world by learning how to successfully do spiritual warfare. The Word of the Disciple, 2 volumes (Gospel of John) - Coming in 2018. The following courses are available for download in a .zip format. Mac: Double click the zipped file. The file will automatically be decompressed by Archive Utility into the same folder the compressed file is in. I taught these four undergraduate courses as part of a Christian Leadership Certificate through New Hope Christian College. Attached to each course is the course syllabus and a link to course resources in the RESOURCE section of this website. I taught these four graduate courses as part of Masters Degree programs in Organizational Leadership at Grand View University (GVU) and New Hope Christian College (NHCC). Attached to each course is the course syllabus and a link to course resources in the RESOURCE section of this website.